The version of Animal Farm I read included illustrations by Ralph Steadman. After reading this, I am of the opinion that all of my books should have illustrations. 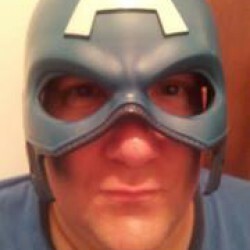 Why did we give this up? Because we matured? Because intelligent minds don’t require pictures with their words? Maybe because of publishing costs? I don’t know, but I LOVE them. And in this case, Steadman did a brilliant job capturing the essence of the story with his art. And isn’t that what stories are, is art? Why not match art with art? As for the story itself, it’s a damn good one. 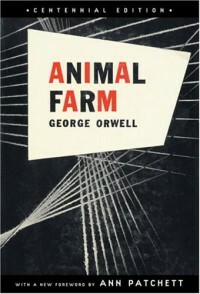 Writers have debated whether Orwell purposefully intended the allegorical themes when he set out to write Animal Farm. Knowing Orwell and having read his ‘Politics and English Language’, I would guess the allegory was intentional. But we don’t know that for sure, do we? No matter your political affiliation, you cannot deny the sharp pictures (the word pictures, in this meaning), the characterization, and the real-life dynamic that Orwell created in Animal Farm. Each chapter and each change of the seven rules of Animal Farm brought about a clever meaning, both in life and in the base of the story. The fact that this story does take allegorical form is what kept me turning the pages (and the pictures; I can’t discredit those wonderful pictures—this meaning in, well, picture form). Yes, I could see certain politicians taking the part of the pig, but a part of me wonders how much pig there is in each of us. Or, how much barking dog, or much working horse, or how much bleating sheep, chanting “four legs good, two legs better!” And when a book causes this much afterthought, it is a truly great book.